During the hot, hazy days of summer, one of the most refreshing ways to beat the heat is kicking back with a cold beverage, such as a chilling wine/beer. To make sure you can enjoy your cold beverage, there are many cool wine chiller on the markets. Some of them might just a stylish ice bucket, some of them are electrics and some of them are stainless pre-frozen drop/stick. Take a look find your favorite one and hope you can enjoy your chilling wine in this summer. It is not the bottle that is cooled, but the wine itself. The cooling process takes place as the wine passes through an internal tube in the Ravi. 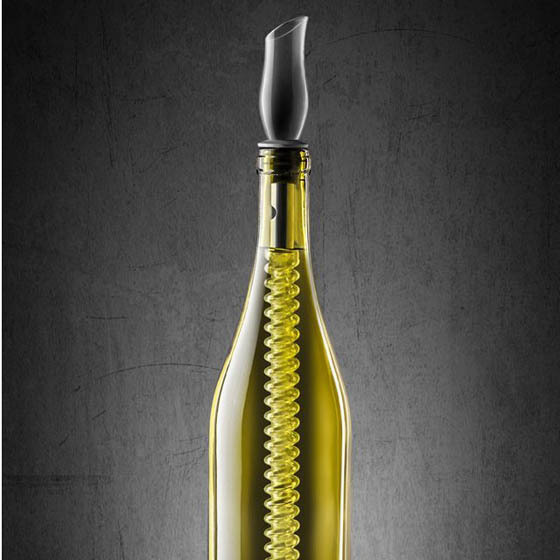 Use of the valve allows you to regulate the amount of time the wine is cooled. 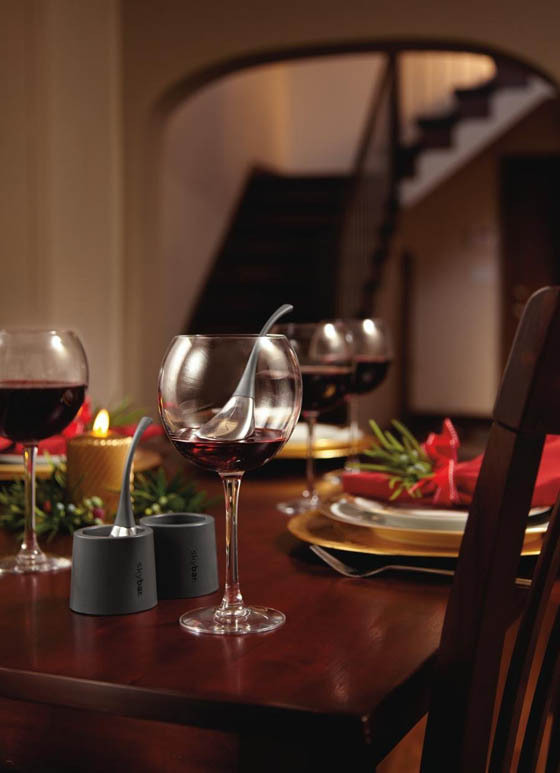 The Ravi will cool wine within seconds which means no more waiting and no more messy ice buckets to contend with. Hand wash. Made in Canada. Take a new angle on wine drinking. 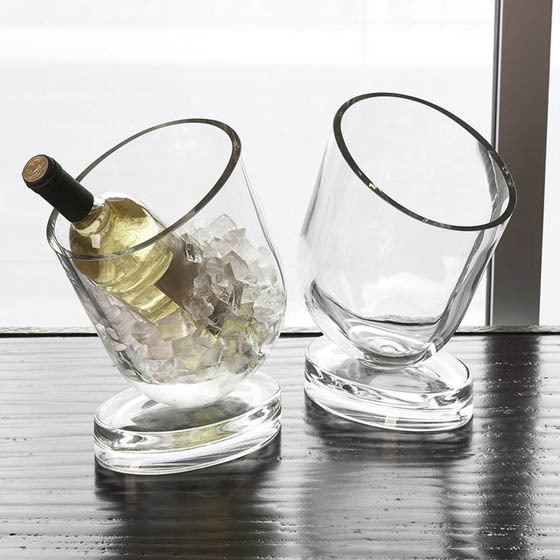 This sculptural glass keeps wine perflectly chilled and keeps your home looking classy. Dimension: 5.5″W x 7.75″D x 11″H. 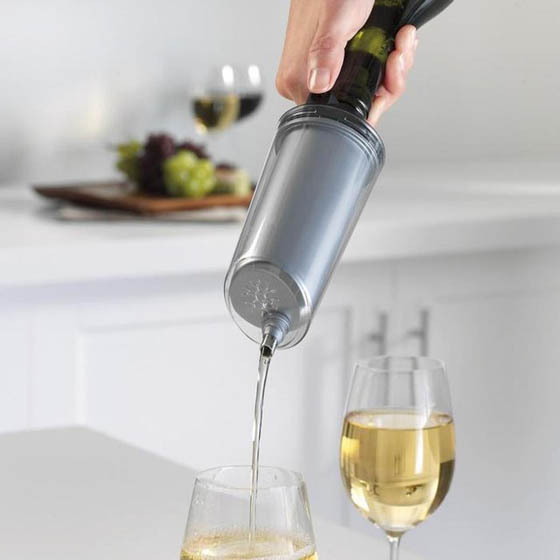 The Kool Twister is the perfect solution for keeping white wines chilled for up to 1 hour or cooling down red wines within 15 minutes. Wine experts agree: nothing can influence the taste of a good bottle of wine more than the temperature. 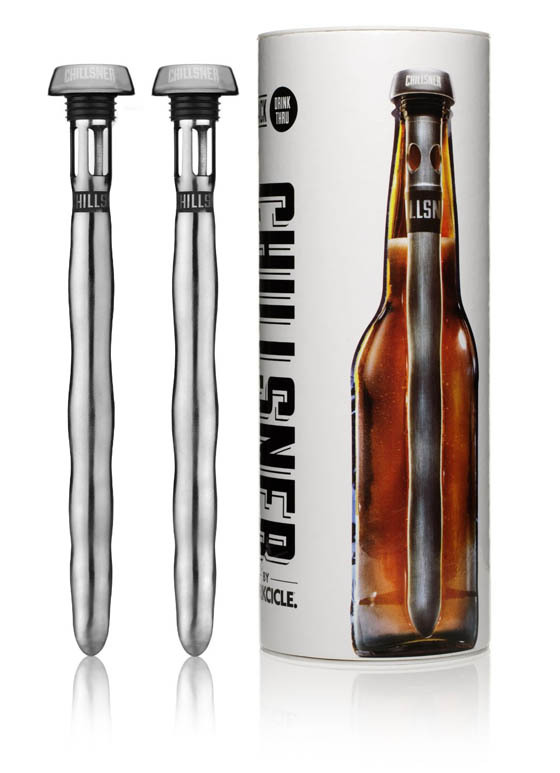 Chill on Demand during Parties, entertaining, when unexpected guests arrive, or when you desire a cold bottle at a moments notice. The VinPodium patented chilling process is 10 times faster than using a refrigerator and 5 times faster than using a freezer and gives the user the ability to chill their bottle to the perfect serving temperature. The chilling process does not alter any drink properties such as taste, composition, or carbonation and is perfectly safe for wine with sediment or delicate wines. Get the most out of your favorite wines without having to wait hours for it to chill in the fridge. 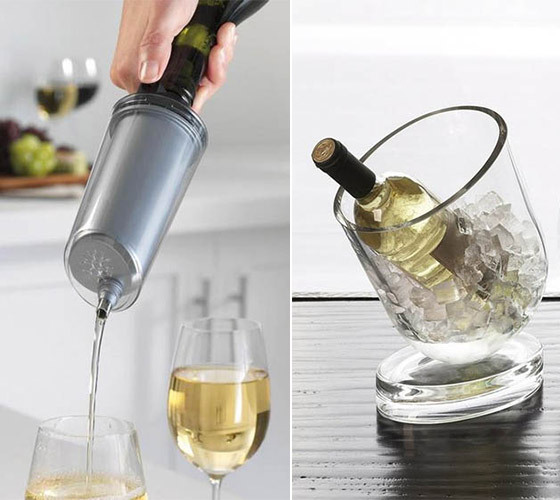 Great for entertaining or in a glass of your favorite wine, the skybar Wine Chill Drop cools a single glass of wine to its ideal serving temperature up to twenty times faster than your refrigerator can chill a full bottle. 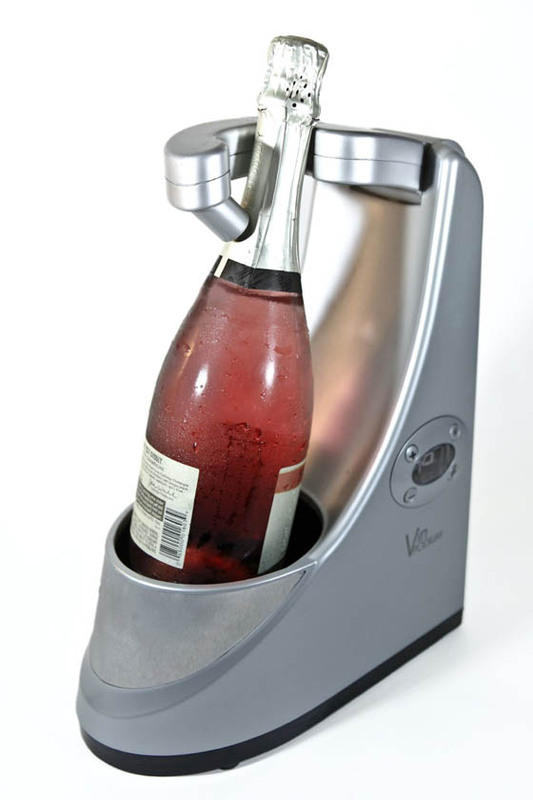 You will be able to enjoy perfectly cooled red wines in ninety seconds or less and white wines in just eight minutes.